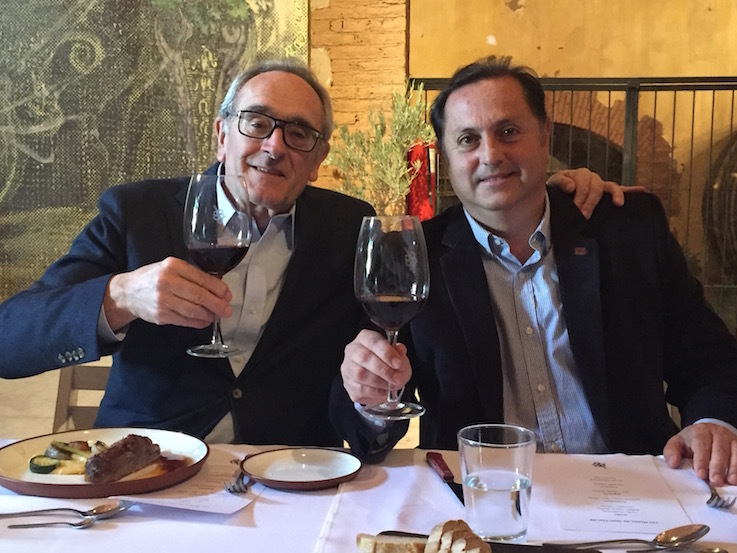 Just when I thought reporting on the Best Sommelier of the World Contest 2016 couldn’t get any better, the very next day, post-final, I lunched with Jean Claude Berrouet. The ‘Muscles from Bordeaux’ isn’t quite as catchy as the adage attached to the Belgian martial arts specialist, but Jean Claude ‘Vin Damme’ rocked my world far more than the star of Street Fighter ever could. The winemaker – who managed 44 harvests at Château Pétrus in Pomerol AOC on Bordeaux’s Right Bank between 1963 and 2007 – and son Jeff were visiting their friends at Bodega Tapiz in Mendoza to launch a red blend based on Merlot (naturally) that Jean Claude made in collaboration with Tapiz’s enologist Fabián Valenzuela. 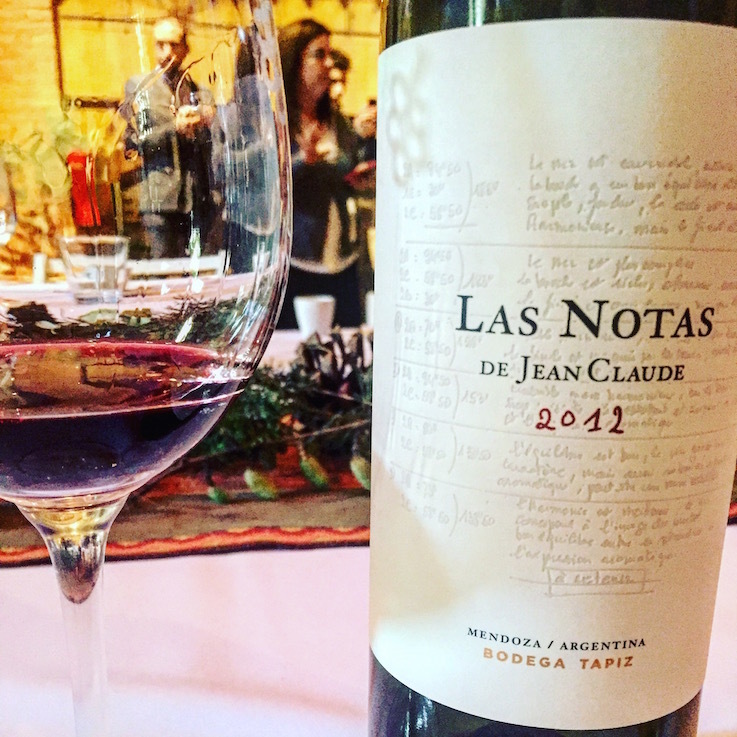 And while it can officially be classified as a varietal in Argentina – its composition is 91% Merlot, 3.5% Petit Verdot, 2.5% Cabernet Franc and 2% Cabernet Sauvignon with 22% aged in new French oak – Tapiz is branding Las Notas de Jean Claude 2012 as a blend. And it might be the most incredible newly launched wine I’ve had the pleasure to sample this year. 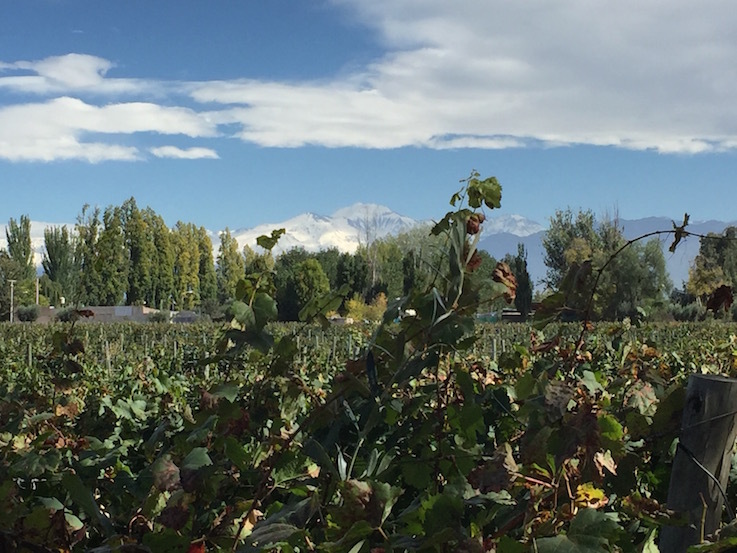 A short background check: the grapes are sourced from San Pablo, a small cool climate zone in hip Uco Valley, where Tapiz is building a new winery. Single vineyard all the way. While 22% of those red babies were oak-aged for 18 months as mentioned, Las Notas was then bottled on 1 October 2013, and has just reached wine store shelves this past month to retail at around US$99 in the US. In the mouth, tannins and acidity tip the middle of the scale, it’s well balanced and refreshing. And despite this being a bountiful red on paper, in fact it’s extremely drinkable, quite light, a juicy red fruit apéritif that stands on its own two feet without the need for food just fine. Jorge’s right. It’s direct, that’s for sure – my hand-to-mouth co-ordination can’t keep up with my urgent need for direct contact. I want more. I accuse Jean Claude of creating a drug. The story behind his friendships in Mendoza began four years ago, and it moved on quickly to a collaboration with Fabián, who used to work at Catena Zapata. Jean Claude says: “When I met Fabián and Patricia [Ortiz, Tapiz’s owner] in 2011 they were very friendly and that was a pleasure. And that’s the most important thing for me, to share the pleasure and philosophy. And despite his unrivalled experience working with Merlot, Jean Claude admits it wasn’t an easy-breezy experience when it came to working with Argentina’a fifth-most planted red (5.35%, according to WofA). He’s right. It’s a challenge to swap familiar clay and gravel for alluvial soil with calcium carbonate, relatively flat terroir for 1,350 metres above sea level, and intense sun and cool nights. It’s not a new chapter, it’s a brand-new book. Of course this dream team have made it work, of that there’s no doubt: the Pétrus knowhow fused with local terroir knowhow has created what I’d humbly suggest is one of Argentina’s finest Merlots today. The view’s a killer at Club Tapiz. I’ve talked fruit, balance, the fact it’s perfect to savour on its own. But Las Notas continues to open and flourish for two hours: the nose adds in ripe cherry, blackberry, meaty aromas, sausage even. Blackcurrant pops up in the mouth, there’s intensity, youth and maturity. It simply improves the longer it sits. Gah. Dil-EMMA. Fabián says it will go for another 10 years at least. I want to drink it now and every day for the next 3,652. But what is perhaps even more spectacular is how Las Notas, Jean Claude and Fabián’s poetry in a bottle, paired with lunch. Soledad Nardelli from Buenos Aires’ Chila recently took over the kitchen at Club Tapiz, and she’s been dying to sample the wine in Jean Claude’s presence. But, she paired a menu based on Fabián’s descriptors without having tried Las Notas that was so impeccable, it was pure testament to her skills – the feelings that Jean Claude alluded to – that every dish matched this Merlot. Soledad Nardelli’s dessert ‘No nos queremos ir’. Las Notas with brie, pears, figs and lavender. Las Notas with slow-cooked flank and autumnal veggies such as courgette and carrots. Las Notas with apple and quince. 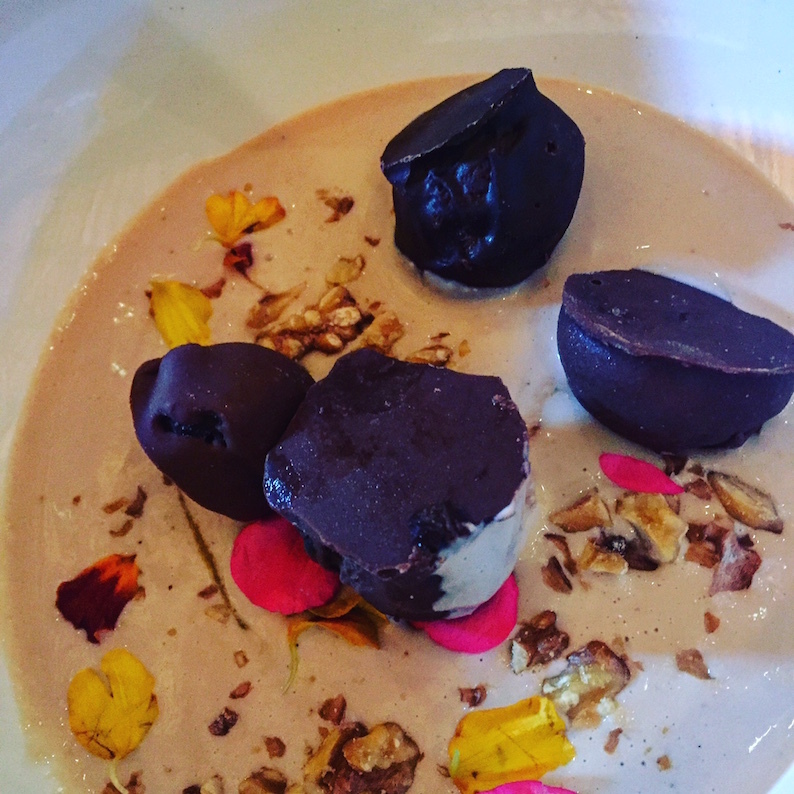 Las Notas with dark chocolate bonbons and walnuts. Totally versatile. A wonderful Argentine red that isn’t Malbec. A wonderful expression of Merlot from Argentina. Buy it, devour it, love it.